In Piedmont, you cannot go to Asti and leave without tasting Moscato. Moscato di Canelli, known as Frontignac in Australia and as Muscat Blanc à Petit Grains in France, is one of the most widely well-received and loved grapes around the world. At parties, it is easily favoured by new wine drinkers because of its approachability and sweetness. It is bought up in cases by people with a sweet tooth due to its affordability. Wineries produce it because it generates good revenue. The bubbles that usually come with it add joviality to the occasion. However, to seasoned drinkers, it is viewed as a boring and unsophisticated wine, which is predominately sugared grape juice. Perhaps there is some truth to this perception of Moscato. The supermarket shelves are well-stocked with Moscato d’Asti DOCG and Asti Spumante DOCG (now just called Asti DOCG). Most of the supermarkets stock Moscato that taste no different from syrup water. After all, Moscato d’Asti is what the Italians would call “Mosto Parzialmente Fermentato”, meaning partially fermented must or in other words, sweet grape juice with alcohol – an uncompleted wine and thus, not a wine in its truest sense. Yet, most of us would be ready to accept Port as a true wine, which is also made from partially fermented grape must. While in Asti, I have learned that Moscato d’Asti is a wine that can be complex and sophisticated. I was told that the price of Moscato juice in Piedmont is €1.30 per litre – the same as red wines there. The problem with Moscato d’Asti is the same as Beaujolais Noveau – image. Good Moscato d’Asti does not come cheap. Retail shops and restaurants have a tendency to buy the cheap stuff and sell it at extravagant prices, at four or even up to eight times the cellar price. I have drunk Moscato d’Asti that cost me $60 which I know that in Asti, I could get a better Moscato from another producer making it at $8. It seems that the profiteers have exploited Moscato d’Asti for a long time. Non-vintage-dated. Usually it reflects the most recent vintage due to the quick turnover of the wine. Has a vintage year. It is a sparkling wine which is why it is termed as “Spumante”. An atmospheric pressure usually around 6-7 bar. It has fewer bubbles than Asti and is usually termed as “Frizantte” meaning semi-sparkling. An atmospheric pressure of up to 1.7 bar. When speaking about Moscato producers, Stefano Perrone of Elio Perrone is a producer whom you cannot dismiss. In my honest opinion, he makes the most complex and handcrafted Moscato d’Asti which I have tasted in my life. His Moscato and Barbera d’Asti are considered a benchmark for me. He has somehow managed to capture the aromatics of both the Moscato and Barbera, transforming them into a serious wine. As long as he keeps doing what he is doing, we will not have to keep putting up with overly syrupy, grapey Moscato and highly acidic, thin-bodied Barbera. Even more interesting is his Bigarò – a Moscato-Brachetto semi-sparkling blend – which no other producer I know of makes. Since 1989, Stefano’s grandfather owned vineyards in the area. 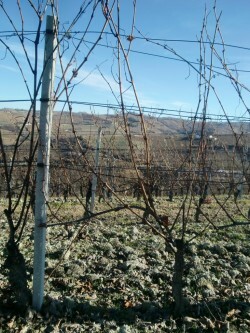 The vines are pruned in the traditional Guyot method but he is experimenting with some Cordon too. In 2011, the Moscato harvest started on the 22nd of August till the first week of September. Usually within a period of 16 days, all the grapes are picked. After harvesting the Moscato grapes, the grapes are pressed and the juice is kept in stainless steel tank at zero degrees or less. To start the ferment, the temperature is slowly raised under tanks which are completely closed to prevent any carbon dioxide gas from escaping. To control the pressure in the tank, a valve is opened to control the pressure at a maximum of 1.7 bar within the tank. 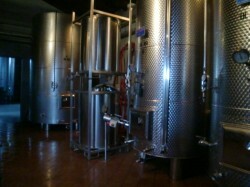 The tanks which ferment the Moscato are stainless steel. They are specially built to ferment Moscato d’Asti and withstand high pressure. This tanks cost about €30 000 per 10 000l tank. Fermentation is at 16-18°C. Packet yeast is used. During the fermentation, the CO2 gas is being trapped and moved into another tank while the wine remains in the original tank before transfer and filtration. After fermentation to the right alcohol levels and pressure, the temperature is lowered again to stop the ferment. The wines will stay in the tank for an extra week at less than zero degrees to not only settle the must but to get rid of the tartrate crystals. A mixer is inserted into the tank for one week and used for 10 minutes every 2 hours so that the lees are stirred to give the Moscato more roundness. After the ferment, the Moscato juice is moved to 200 hl tanks, amounting to about 40000 bottles per tank for storage while the next batch of chilled must is pumped into a clean fermentation tank. Filtration is finally done using tangential/cross filters (bucher brand) when the Moscato in the storage tanks are ready for bottling. Almost all wineries have their own bottling line. For Moscato d’Asti, special bottling machines are used that comes with a sort of gassing machine for captured CO2 and Nitrogen. The new machines cost about €9000 and can do 1800-2000 bottles/hour. During bottling, the naturally produced CO2 gas is injected back into the wine. It is believed that by using natural CO2 created by the fermentation, the Moscato wine becomes more aromatic and has a more balanced mouth feel than Moscato injected with purchased CO2 gas. This differs from the Charmat process in France where the gas and the still wine is not separated during the fermentation process. Most of the good Moscato d’Asti are made in this way. I highly recommend that you try his Barbera as well which I consider to be top-notch and more of a full-bodied, modern style. 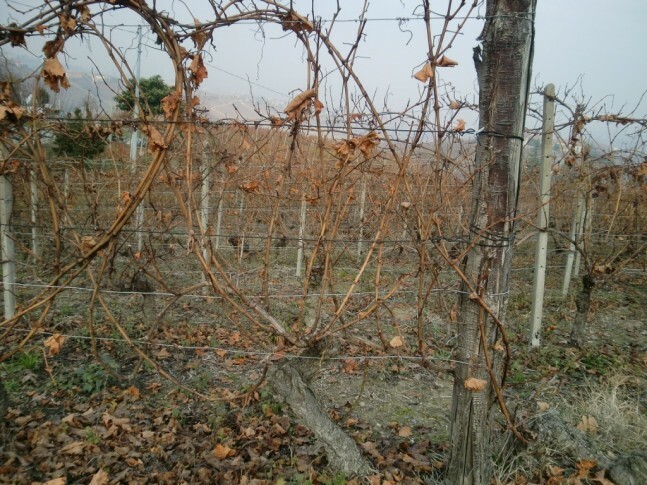 The vineyard of 2 ha faces east, with over 50 year old wines. 85% of the grapes is hand-harvested and the remaining 15% is by partial drying, harvested a month later. Pale green colour and no bubble steam. On the nose, honeydew, guava, delicate, medium intensity, a light papaya, pears and green apples, lemon blossom. This is the most complex Moscato I have smelt. The palate is sweet, med(+) acid, very fresh with a honeyed sweetness, subtle, white flowers, the bubbles are integrated and not popping in the mouth, long length, lemonade and green apple finish. Pale purple colour with micro bubbles. A light rose smell with rose petals, confectionary, litchi, medium intensity. Sweet on the palate, juicy, fresh, syrup water, med(+) acid, rose water, cherry gum, red apples, med(+) length, a syrupy finish. This is a Vino Tavola. Excellent with Chinese egg tart. Saracco’s Moscato d’Asti is what I would consider your classic Moscato d’Asti. The quality here is still high and it is better than your average Moscato swill in your supermarkets. I was told that Moscato arrived here from the East since the 13th Century. Saracco has vineyards in Castiglione Tinella, which is under chalky, calcareous soils while the hills facing S-E are on white sand. Poalo owned 6 hectares in 1983 but now, he has 43 hectares, of which Pinot Nero, Riesling, and Chardonnay are planted on one hectare each. Moscato is a grape that needs to be picked and pressed immediately so that oxidation of the must is prevented and the aromatics are not loss. A small truck that can carry 9 tons of grapes is used to transport the berries. The grapes are pressed and put into tanks of -2 degree Celsius for storage to prevent oxidation or fermentation. No single vineyard Moscatos at Saracco are made so far. Before the fermentation, the juice is very clear due to cold-settling. The aromas are concentrated and the taste is like cold tea. Once orders have been received for Moscato d’Asti, the ferment begins. Ferment of the stored must begin on demand. Natural yeast is not used as they do not want to risk any off-taste. When the wine is fermented to the parameters of 150 g/l of residual sugar, 6 g/l of acid and 5.5% of alcohol, the fermentation is stopped. This takes about 8 days of fermentation time. After the ferment, the wine in the tank is slightly carbonated and fizzy. It has very fine with a chalky texture. Saracco uses natural CO2 gas from the ferment and re-inject it into the Moscato d’Asti during bottling. They also make Chardonnay, Riesling and Pinot Nero. Pale yellows with big bubbles. The nose is light honeysuckle, melon dew, straw, med(+) intensity. On the palate, it is sweet, med(+) acid, cold tea, light alch, grapey, green apple, a light fizz on the mouth, slightly frothy, long length. It is grape-centric. 500 000 bottles made a year. The 29 year-old Giuliano Iuorio is in my opinion, a man to watch out for with lots of potential and his wines will only get better each year as he refines his approach. He represents the new generation of winemakers that are willing to experiment with new techniques to blend modern winemaking with tradition. The first vintage of Mustela started in 2003. Mustela, located just outside Barbaresco and inside Langha, is part of the five winery group of Langa Style consisting of La Ganghija, Negretti, Olivero Mario, and Vigin. These five wineries represent young up and coming winemakers who have banded together to promote a fresh approach to winemaking in Langhe. I have tasted the wines of La Ganghija and I must say that the quality is absolutely stunning. I look forward to visiting the remaining three producers in the future. Mustela first started as a farm in 1978 producing only Moscato grapes but now has 15 hectares of plantings. There has been four generations of grape growing in the family but Giuliano is the first generation to make wine after going through a rigorous 7 year wine programme in Alba. For a winemaker with only about 9 years of experience, he has definitely learned how to make great wines quickly or perhaps, it is his family’s deep knowledge about the grapes grown on their land that Giuliano has learned that great wines are made with a great understanding of viticulture, not just winemaking. He produces 40 000 bottles and half goes to Moscato d’Asti. This is still a small production as 50 000 bottles is considered a normal production for a winery here in Piedmont. 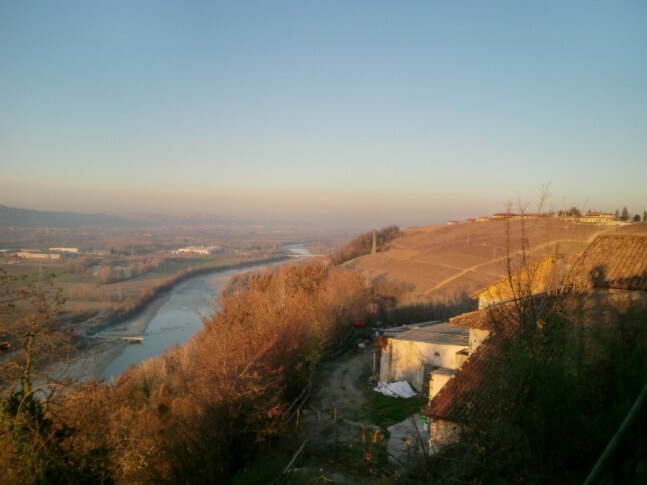 Trezzo Tinella, which is where his winery is located, is a famous area for Moscato. The South-East facing slopes where his Moscato is planted is so steep that no machine can be used to harvest. Although known for his Moscato d’Asti, he makes one of the best Dolcetto d’Alba I have tasted. His Sparkling wine and Barbera d’Alba are also quite impressive. 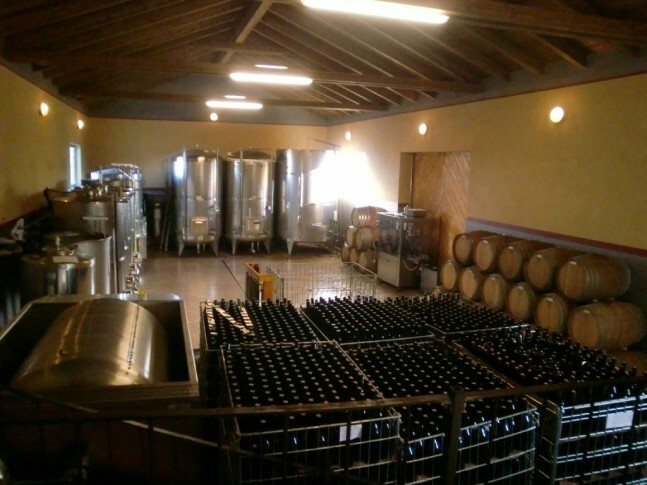 More impressive is his winemaking facilities, which I find not only spotless, but also designed in such a way that enables one enough room to move around without feeling claustrophobic. It is one of the most neat and organised winemaking facilities I have seen. Giuliano likes to use different brands of oak to experiment: Vicard, Taransaud, Remond, St Martin, Quintessence and Jacques Garmes. This is a man full of ideas and his wines speak for themselves. Mustela produces a late-harvested Moscato as well as sparkling wines, Chardonnay, Dolcetto and Barbera d’Alba, and Langhe Nebbiolo. Injected with Natural CO2 gas. Pale green colour, micro bubbles, slow stream of bubbles. The nose is fresh, concentrated and clearly from a tank. The palate is sweet, med(+) acid, long length, nashi pear-finish. This needs 2 to 4 weeks to rest as the nose is still fresh after filtration. Bottled one week before tasting. I recommend serving both Asti and Moscato d’Asti at between 6 to 8°C. Asti, being a full sparkling wine should be served in a sparkling wine flute to preserve the bubbles. Both usually go well with fruit-based pastries and cakes. From my experience, Moscato d’Asti is a wine that is very adaptable to all sorts of dishes. I have tasted it with eggs sunny side-up, hard-boiled and scrambled. It tasted fine with them but I would consider it neither a homerun, nor a total failure. It is also adaptable to local cuisines such as Chinese carrot cake, Chinese egg tarts and desserts such as a creamy fruit cake with almond toppings or hazel-nuts. Asti has a tendency to produce peachy and apricot flavours which I believe can complement dishes such as strudel and plum pudding. Personally, I am not a big fan of both wines with seafood or chocolate-based dishes because the delicate flavours of the seafood get lost in the sweetness of the wines. There is an overpowering flavour to cocoa that overwhelms the delicate muskiness of Moscato. As for aging, I encourage you to drink them at the most 2 years from the vintage date. For Asti, it would be at the most 2 years from the date which you bought the wine. Asti has a tendency to lose its floral advantage after two years and Moscato d’Asti has a tendency to lose its spritziness although I have heard from some producers there telling me that they have 10 year old Moscatos which are still drinkable. I suppose it depends on how you define drinkable if you can wake up without feeling sick. Also, do consider serving Asti and Moscato d’Asti at the beginning or the middle of a meal instead of always at the end with dessert. Moscato d’Asti is quite drinkable with all sorts of dishes and can fit into most parts of the courses. 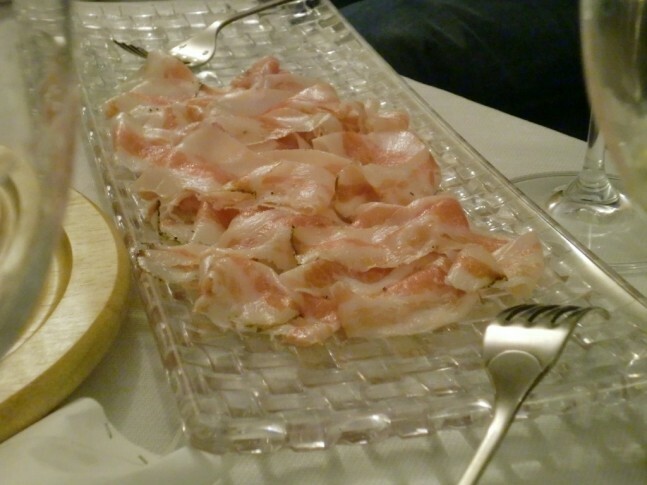 As for Asti, I have served it as a starter many times. Bubbles and sweetness always helps to loosen people up, lighten the mood and set the pace for the rest of the evening only if it is served at the right temperature. I suggest cantaloupe sprinkled with some salt to go with the Asti for a starter. Is that all to Moscato? It seems that Moscato in Piedmont comes not only in the sweet sparkling and semi-sparkling styles, but also as a late-harvest, still wine styles. I tasted three producers who produced them and it really surprised me why not more people are doing it. With late harvest, the profile of Moscato becomes more concentrated, with flavours of dried fruits and sun-baked aromas. The slight nail polish note to the wine makes it smell like a Sauternes on steroids. Just like Riesling, Chenin Blanc and Semillon, I am convinced that Moscato is a grape that is suitable for late-harvest if treated correctly. Pale gold colour. Honey nose, toast, med(+) intensity, concentrated, syrup, dried apricots. The palate is luscious, med acid, syrupy, dried fruit, light bitterness, med alcohol, long length, beautiful syrup finish, diced pineapples. The bunches were cut on the 28th of November. Late-harvested. Pale gold colour. Aromas of guava, pineapples, litchi, raisins, white peach, ethyl acetate smell. The palate is high acid, white pears in the back and pineapples, medium sugar levels. This is a wine with a beautiful spectrum of aromas and yet not tasting too sweet. Residual Sugar 16g/l and TA is 5.5 g/l. 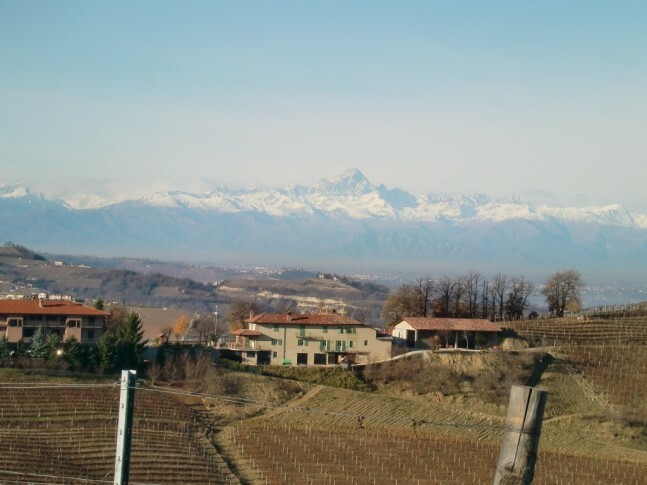 La Ganghija produces Chardonnay, Dolcetto, Nebbiolo & Barbera d’Alba and Barbaresco as well. Deep gold colour. A sort of sauternes style, pineapples, soap, butter, custard, light ethyl acetate, med(+) intensity. Luscious palate, med(+) acid, juicy, pineapples, panna cotta, long length, very excellent quality. A slight oiliness to it with a strong finish of dried fruits. 180g/l of residual sugar, 50% were in old barrels. No botrytis on the grapes. Located across the Tanaro River, north of the hills of Langhe is Roero, known for its perfumed Nebbiolo and delicious Arneis. The Arneis grape, meaning “little rascal” in Piemontese, is a grape with little acidity and tends to ripen in mid-September. However, with modern plantings, this problem with acidity has been overcome. The people of Piedmont have discovered that Arneis does better in the chalky and sandy soils of Roero. Although Arneis is also grown in Langhe, I consider Langhe more of a red wine area than a white. According to Anna Maria of Anna Maria Abbona, the locals consider white wine in Piedmont to be more of a drink than a wine. With good quality white wines such as Roero Arneis DOCG, I find this statement to be an oddity. In Langhe, where the soils are more sandy/clay, I found Arneis to be more aromatic, with flavours of lemon and fuller-bodied. In Roero, where there are layers or soil which consist of sand and chalk, the Arneis tends to be more mineral, full of green apples and pears. Most Arneis are fermented in stainless steel although there are producers who are dabbling in barrel-fermentation to give Arneis more weight and complexity. I have not come across a producer who does full malolactic fermentation on Arneis given its acidity issues. Known in Piedmont as a grape used for Brachetto d’Acqui, Brachetto reminds me of something like a red Moscato because of its soapy, grapey characters. Perhaps this is why Elio Peronne uses it to blend with his Moscato to make a semi-sparkling sweet rosé. This grape is usually made in the semi-sparkling sweet style although I have tasted a dry one from Matteo Correggio (see tasting notes below). Whether sweet or dry, both styles retain that intense soapy, grape aroma along with a basket of strawberries. This is definitely a light-bodied wine that is a good substitute for Lambrusco. Green colour. The nose is lightly reduced, light lemon, slight nuts, light flowers and litchee. On the palate, it is med(+) acid, lemon citrus, crisp, long length, steely on the back palate, very fresh. Beautiful, fresh and mineral. Stainless steel, no MLF. This is a wine that is recommended to be drunk in 2 years. The ferment temperature finishes of at 18-20°C. It is fermented without skins in the tank with packet yeast. The grapes are crushed and pressed. The wine is bottled in the first of June. Pale green colour. Medium intensity, melon peel, light honey. The mouth feel is luscious, med(+) acid, lemon peel, a little bit of fat in the mouth, med(-) length, light finish. The land was planted with cherries 30 years ago in this 4 ha vineyard. The soil is 65% sand, 25% silt, 10% clay and limestone at 360 m with an East to South-east exposition. The density is 4800 vines/ha. 20-25% of the wine is partially fermented in barrel and the rest was in stainless steel for 15 days at 16-17°C. Six months aging on lees. Pale green colour. Light melon notes, vinous, med(-) intensity, green apples. The palate is med(+) acid, citrus, lime, green apples, med(+) length, a citrusy finish. On sandy soil rich in calcium and magnesium. Fermented in stainless steel. Boffa Carlo produces Barbaresco as well. Pale green colour. Light pears, med(-) intensity, green apples. The palate is medium acid, light pears, med(+) length, light green fruit finish. 30 000 bottes made per year, S-W exposition, sandy soil. From the vineyard at Montà d’Alba (Cuneo). Pale green colour. Nose of melon, fresh, green pears, med(+) intensity. On the palate is med(+) acid, very nice crisp, melony flavours with a very long length, honey dew finish. 25000 bottles made. An amazingly fresh and clean wine. The finish is packed with flavours. The grapes are picked on the 5th of September, fermented at 18°C and packet yeast is used. The soils are sandy with marl and clay. Pale garnet colour. A light floral character, soap, med(+) intensity on the nose. On the palate, dry, grapey, soap, med alcohol and acid, med(+) length, light soapy finish, light tannins. This is a fresh way to look at Brachetto – as a sort of Gewurztraminer of red wine. On sandy soil with silt and clay. A density of 4500 hectares and yields of 50hl/ha. Manual harvest. Stainless steel ferment at 26 to 28 degrees for 8 days and bottled in screwcap. 2 to 4 days of maceration and 100% MLF. For Brachetto to a DOC, it has to be sparkling and sweet.